Amiens ([amjɛ̃]) is a city and commune in northern France, 120 km (75 mi) north of Paris and 100 km (62 mi) south-west of Lille. It is the capital of the Somme department in Hauts-de-France. The city had a population of 136,105 according to the 2006 census. 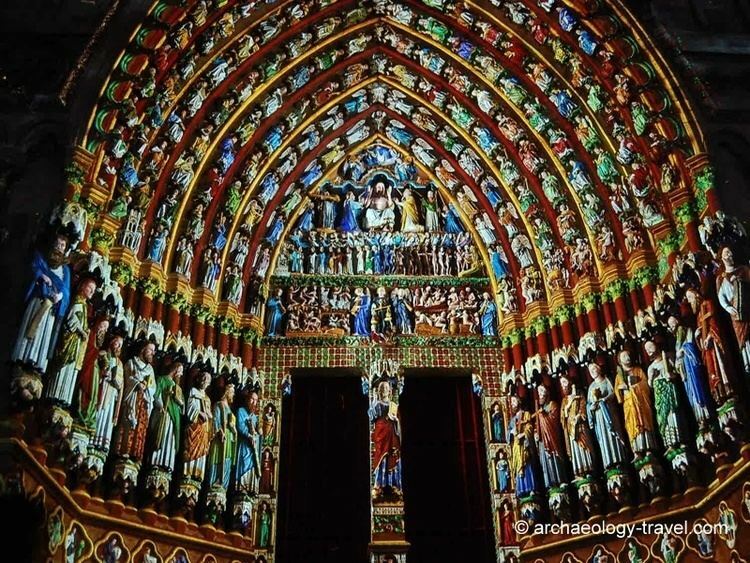 Amiens Cathedral, the tallest of the large, classic, Gothic churches of the 13th century and the largest in France of its kind, is a World Heritage Site. The author Jules Verne lived in Amiens from 1871 until his death in 1905, and served on the city council for 15 years. During December, the town hosts the largest Christmas market in northern France. Amiens is known for a few local foods, including "macarons d'Amiens", almond paste biscuits; "tuiles amienoises", chocolate and orange curved biscuits; "pâté de canard d'Amiens", duck pate in pastry; "la ficelle Picarde", an oven-baked cheese-topped crêpe; and "flamiche aux poireaux", a puff pastry tart made with leeks and cream. The city developed in a natural narrowing of the river at the level of the hortillonnages, due to the advance of the rim of the Picard plateau in Saint-Pierre (ford crossing). The Amiens citadel is built on this limestone butte and Rue Saint-Pierre is a slightly inclined path to leave the city from the north. At this narrowing, a network of narrow canals led to the construction of bridges and buildings including textile mills in the Middle Ages. Amiens has a typical oceanic climate in the north of France, with relatively mild winters, cool summers, and rainfall well distributed throughout the year. According to the urban transport plan (PDU) approved 19 December 2013 for the period 2013-2023 parking supply is considered abundant in Amiens. Although important, demand for parking is less than what is available (capacity reserves are still 20% minimum: If the road is sometimes saturated, the occupancy rate of the underground parking remains globally less than 100%). As of 2007, a residential parking system is deployed in Saint-Anne ward to cope with congestion in the streets by cars of users from the SNCF railway station. During the campaign for the municipal election of 2008, parking was one of the important topics of debate. A year after the change of majority, the Gilles Demailly team launched a consultation with the population. From 2011, the residential parking was extended to the quarters of Gare-La-Vallée and Riolan, then in 2012 the Noyon and the area east of the Riolan sector. In 2014, 2,600 parking spaces were affected by this system which is designed to allow city residents more parking near their homes, to promote a better rotation of vehicles in the streets and reduce permanent occupation of public space by the cars cluttering the highway. Two tram lines over 10.7 kilometres (6.6 mi) were opened in 1887. The two intersect at Place Gambetta, one linking La Madeleine Cemetery, the Church of Saint-Acheul, Cagnard bridge, Rue de Noyon and Rue Jules-Barni; the other from the Church of Saint-Pierre at the racecourse, by the streets of Saint-Leu, Frédéric-Petit and Colbert. Electrified in 1899, the network grew to seven lines totalling 19 kilometres (12 mi) in 1906. From 1932, Longueau was linked to Amiens by a bus service. The terrible German bombing in 1940 which destroyed most of the city centre also hit the Jules-Ferry Road tram depot and totally destroyed the tram fleet. Only the Longueau bus survived. Amiens remained without transport. A few old Parisian buses were then used for an extremely reduced service. These buses as well as the survivor bus were then converted to city gas and equipped with tanks on the roof covered by a huge white dome. This service continued with this extraordinary material until approximately 1946. There were only two urban lines: An east-west line (Saint-Acheul - Montieres) and a northeast-southwest line (Beauville - road to Rouen). It was decided after war to serve the city by trolleybus with one bus route to Longueau. This programme was only in part realised (serving Saint-Acheul), road to Rouen, La Madeleine and Saint-Pierre. In 1964, trolleybuses were abandoned and the bus became ubiquitous in Amiens transportation. The bus network is today managed by the Ametis mixed economy company, whose network covers Amiens Métropole, the agglomeration of Amiens. The establishment of dedicated bus lanes began in 2006. Former Mayor Gilles de Robien had envisioned the creation of a tram, but the choice of dedicated bus lanes had been preferred for reasons of cost and attendance. His successor, Mayor Gilles Demailly, had been considering the development of a TSCP in the metropolitan area. As a result of numerous studies and conferences, elected representatives voted for the creation of a tram at the municipal Council of 15 November 2012. The project had been endorsed by the Communauté d'agglomération Amiens Métropole on 18 December 2012 and the commissioning of a first north-south tram route was scheduled for 2018/2019. Following the elections of 2014, which were a defeat for most municipal and community carriers of the project, the new mayor of Amiens Brigitte Fouré and by extension the new president of Amiens Métropole Alain Gest decided to suspend the project at least during the time of their respective mandates, thus applying a campaign promise (the tram was at the heart of debate) and despite a project announcement of trams on tyres (of TVR type). Improvement of public transit would then be only by that of the bus network. Indeed, in December of the same year, the Community Council approved funding for a study (the sixth in 20 years) relating to the establishment of a rapid transit bus network (BHNS), which should enter into service in March 2019, and whose vehicles could be electric. Amiens has developed two bike services: Buscyclette and Velam. Velam is a bike sharing system (VLS) created on 16 February 2008, an adaptation of the Cyclocity system managed by JCDecaux, similar to Vélo'v in Lyon and Vélib' in Paris. Vélam offers 313 bikes distributed every 300 to 400 metres in the centre of Amiens and 26 stations. The blueprint of the bicycle facilities of the agglomeration (SDAC) provides, over a period of 10 years (2014-2024), for 188 kilometres (117 mi) of cycle routes and equips 490 sites for the parking of bikes. This plan also includes the deployment of parking facilities over the entire territory of the city, close to the facilities frequented by bikers, as well as cyclist right-turns at traffic lights or even the maintenance of existing facilities. A station located on the Paris - Lille line in Longueau serving south of Amiens and the communes of Longueau, Cagny, Boves, etc. Gare de Montières, station assigned to the freight traffic, it serves only the industrial zone of Amiens. This station is located on the former railway line of Doullens. St-Leu is a part of Amiens north of the city centre. It has many older wooden and brick houses and several canals. At the foot of the cathedral, traversed by canals, this picturesque area was largely rehabilitated during the 1990s. It extends to the Somme canal, located more to the north, at the foot of the Coteau Saint-Pierre on which the fortress of Jean Errard, called Citadelle, was built. Historically, it was the poor quarter of the city, where butchers, tanners and dyers gathered. Amiens University's Faculty of Sciences, present since the 1960s, has been renovated and expanded on occasion. The Faculty of Law and Economics has also been transferred since the mid-1990s from the campus (offset to the south of the city) to its new location at the foot of the cathedral. The open-air parking it replaces was a "gap" in the landscape dating from World War II. Nonetheless, it allowed an unobstructed view of the cathedral. Most of the buildings have been renovated and transformed into housing much of which is for students, many of whom are in the quarter. Located to the west of the Citadelle, and east of the La Madeleine Cemetery, this very old working-class quarter of Amiens, and industrial centre of the 18th century, is undergoing rehabilitation with the construction, rearrangement and renovation of much housing. The walls of the city's former dye factory are now those of the École supérieure d'art et de design d'Amiens (ESAD) as well as those of the Faculty of Arts. The École supérieure d'ingénieurs en électronique et électrotechnique (ESIEE) is in the same quarter. As the Citadelle, it will be renovated by the architect Renzo Piano to accommodate the university departments (UFR) of letters, of history and geography, of languages, the École supérieure du professorat et de l'éducation (ESPE), the House of Languages, the House of Research and the University Library in 2015. The Jardin des plantes, known as the Jardin du Roy within the city, is also located in this quarter. It also contains the Church of Saint-Acheul, and the former normal school of teachers which became the Lycée Robert-de-Luzarches. A number of famous people are buried in the former Saint-Acheul cemetery such as J.-P. Pinchon (creator of Bécassine) and many resistance fighters. Part of the quarter includes a so-called "English neighbourhood," with typical English style houses. At the feet of this area lie the hortillonnages, a marshy area criss-crossed by canals. These areas experience a lot of social troubles and have regularly been the place for riots. The northern quarters were the scene of violent events in 1994, 1999 and 2000 (clashes between several districts of the city and between the neighbourhoods of Amiens and the districts of Creil), in 2006 and 2008 (in the wake of incidents in the Paris suburbs) and more recently in August 2012 following a conflict between youth and the police. The cost of the latest vandalism to occur in the north of Amiens would amount, according to Gilles Demailly, to between four and six million euros. These extremely violent riots caused sixteen police officers to be injured. In 2009, the total number of dwellings in the municipality was 68,145, while it was 63,201 in 1999. Among this housing, 91.7% were primary residences, 1.0% of secondary residences and 7.4% vacant housing. These dwellings were 38.7% of detached houses and 60.2% of apartments. The proportion of principal residences, which were the properties of occupants, was 34.0%, down from 1999 (35.3%). The share of empty rented HLM homes (social housing) was also down: 29.0% against 32.5% in 1999, their number decreased from 18,692 to 18,103. However, this percentage remains much greater than the rate of 20% required by the law on solidarity and urban renewal (SRU) for cities and agglomerations of more than 50,000 inhabitants. In historic areas such as the Saint-Leu quarter, façades widely use wood, half-timbered or siding, and wattle and daub. La Citadelle: This flagship project for the agglomeration involves the amalgamation of units of training and research from the University of Picardie in letters, languages, history, geography, philosophy, sociology, psychology and the College teaching and education (ESPE) on the site of La Citadelle; set of 18 acres (7.3 ha) on the outskirts of downtown. This university construction programme should strengthen regional competitiveness and the development of higher education and research. The project, entrusted to the Italian architect Renzo Piano, provides an opening of the campus on the city and will be accessible to all its inhabitants. ZAC Gare-la-Vallée: The project must strengthen Amiens in his role as regional capital and allow the creation of a genuine business district in the heart of the city. With a budget of €157 million, the project combines tertiary activities, shops and habitat walk from the station and the inner city. The first buildings were inaugurated in 2008. A second phase of development extends from 2012 to 2017. Under the control of the Chief Architect, Paul Chemetov, the quarter must especially accommodate 2,000 homes, 200,000 square metres (2,200,000 sq ft) of offices and two urban parks creating a visible link between downtown, the Somme and the Hortillonnages. ZAC Renancourt: This new quarter must ensure the development of the city to the west. 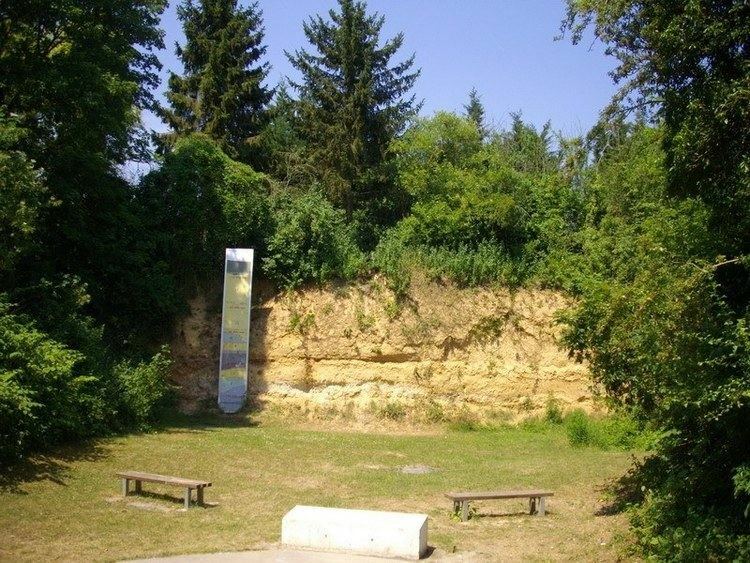 Located between the Grâce Valley, the Selle Valley, the Renancourt quarter and its suburb, this planning area is a natural viewpoint over the city. It is also adjacent to emblematic facilities of the city: The Zenith of Amiens, the Stade de la Licorne and the megacity. By 2018, this residential area must accommodate 1,400 houses but also a hotel, facilities and shops. The toponym is derived from the name of the local Gallic people, the Ambiani, which was replaced in the 4th century to the old name of the town Samarobriva (the bridge on the Samara - Somme). Amiens then became the episcopal headquarters. In Picard, Amiens is called Anmyen. On 4 April 2014, Brigitte Fouré (IDU (NC)) succeeded Gilles Demailly (PS). Her list was elected in the second round on 30 March 2014 with 50.39% of the votes. Amiens is a city marked by a strong judicial tradition, with the historical presence of its Court of Appeal, the Cour d'appel d'Amiens, as well as all courts of first and second degree of judicial order. The Court of Appeal of Amiens has jurisdiction over the three departments of Picardy, with nine high courts. The national court of disability and the pricing of insurance for work accidents. An administrative tribunal whose rulings may be appealed to the administrative court of appeal of Douai. The Regional Chamber of Auditors of Picardy. Brighton and Hove, England, United Kingdom, since 2006. Cities shall cooperate in particular through the Nuit blanche and the European project "Beyond the blue - Woad". The inhabitants of Amiens are called the Amiénois and their nom jeté is Chés maqueux d'gueugues (the eaters of nuts). In 2012, the commune had 132,727 inhabitants. The evolution of the number of inhabitants is known through the population censuses carried out in the town since 1793. From the 21st century, the communes with more than 10,000 inhabitants census takes place every year as a result of a sample survey, unlike the other communes which have a real census every five years. Educational institutions of the city fall under the supervision of the Academy of Amiens which develops according to the Inspection académique la Somme. On 1 September 2010, 10,658 children were enrolled in the Amiens public schools: 4,341 in nursery school and 6,317 in elementary school. Vocational high schools: Acheuléen, Édouard-Branly, Edouard-Gand, La Providence (private), Montaigne, Romain Rolland, Sacré-Cœur (private), Saint-Martin (private), Saint-Rémi (private) and Saint-Riquier (private). General and technological high schools: Robert de Luzarches, La Hotoie, Jean Baptiste Delambre, La Providence (private), Sacré-Cœur (private), Saint-Martin (private), Saint-Rémi (private), Saint-Riquier (private) and Sainte-Famille (private). In order to maintain a supply of health to the north of the city, a health centre will open its doors in the first quarter of 2016, at the crossroads of the Avenue de l'Europe and the Rue Maurice-Ravel. This health space of 1,200 square metres (13,000 sq ft) will host general practitioners and specialists of the CHU (cardiologist, a service of gynaecology-obstetrics, psychologists, dentist, masseurs-physiotherapists, etc.) with the promise of a permanence of care (7 days a week and 24 hours a day). Thanks to the youth of its population, the dynamism and the success of its sports clubs, Amiens has been awarded the title of "Sportiest city of France" by the L'Equipe newspaper in 1999. She had already won the title in 1969. In 2013, Amiens Métropole has nearly 300 sports associations and Sports Recreation: approximately 150 associations are grouped within the Office of Amiens Metropole Sports and 150 others are referenced without being adherents. According to this same Office for Sports, Amiens has 25,000 members of sports clubs (excluding school and university members). The Spartiates d'Amiens, operating in the Casque de diamant (D1), champions of France in 2004, 2010 and 2012. Created in 1987, the club has more than 400 licensees. AUC Athlétisme is a multidisciplinary athletic club which particularly developed Stella Akakpo, specialist of the sprint and the relay. Bertrand Moulinet specialist of the 20 km and 50 km walk. The AUC Badminton (Amiens University Badminton Club) was founded in 1986. Labeled "French school of badminton" by the French Federation of badminton, the club had 205 members in 2014. The city hosted the French National Badminton Championships in 2011. The Circle of Fencing of Amiens Métropole is one of the oldest French clubs. It was succeeded in the Hall of arms of Amiens opened in 1886. The circle has approximately 150 members and remains a major club of French fencing with many qualifications and results at the Championships of France of fencing. The club held the Elite French Championships in 2001 and 2011. The Amiens Sports Club, currently playing in League Elite D1), champions of France men in 1981, 1982, 1986, 1987, 1988, 1989 and champions France women in 1983, 1984, 1993, 1995. The Hoplites d'Ambiani, D1. A second team is evolving in D2. The Amiens SC, for National (D3). The team was a finalist of the Coupe de France in 2001 and semi-finalists in 1930 and 2008. CSA Club, Amiens SC women's team plays in Division 2. Before the 2012-2013 season, the team was known under the name of CS Amiens Montieres Etouvie. The Amiens AC, currently playing in the CFA (D4). The Golf Club D'amiens was founded in 1924. The men's team plays in D1, women team in D2. The club has 530 members in 2013. The Amiens Picardie Hand (APH), currently playing in National 2 (D4). The club, result of the merger of several clubs Amiens, was created in 1991. The Écureuils d'Amiens, Elite League (D1), runners-up France in 2010, finalists of the Coupe de France in 2007 and finalists of the European Cup of clubs in 2008. The Sport Nautique d'Amiens (SNA) was founded in 1866. Located on the edge of the Parc Saint-Pierre, it is labeled "French rowing school 3 stars" by the French Federation of rowing. With 465 members in 2013, the club currently competes in the 2nd division. The Amiens Sport Table Tennis (ASTT) was founded in 1945. It was twice crowned champion of France in 1968 and 1969. The men's first team also won the Coupe de France in 1966 and 1967. The Amiens Longueau Métropole Volley-Ball (ALMVB) including women's first team plays in Women's Elite Division (D2) and the Amiens Métropole Volley-Ball (AMVB) including the men's first team plays in Nationale 1 (D3). Since the start of the Tour de France in 1903, Amiens has hosted the start of a stage on ten occasions (1932, 1962, 1964, 1967, 1970, 1971, 1975, 1979, 1999, 2004) and the stage finish nine times (1932, 1962, 1964, 1967, 1970, 1971, 1975, 1993, 1999). Amiens will host the finish of Stage 5 of the 2015 Tour de France on 8 July. Le Courrier picard, principal regional newspaper, founded in 1944. Its headquarters are located at 29 Rue de la République (it sold 64,587 copies in 2013). Fakir, an independent journal, founded in Amiens in 1999 by François Ruffin. The people of Amiens have other sources of information on their territory, such as the monthly publication of the Picardy regional Council, Agir en Picardie. The Departmental Council of the Somme also sees its magazine distributed each month to the samariens homes, Vivre en Somme. 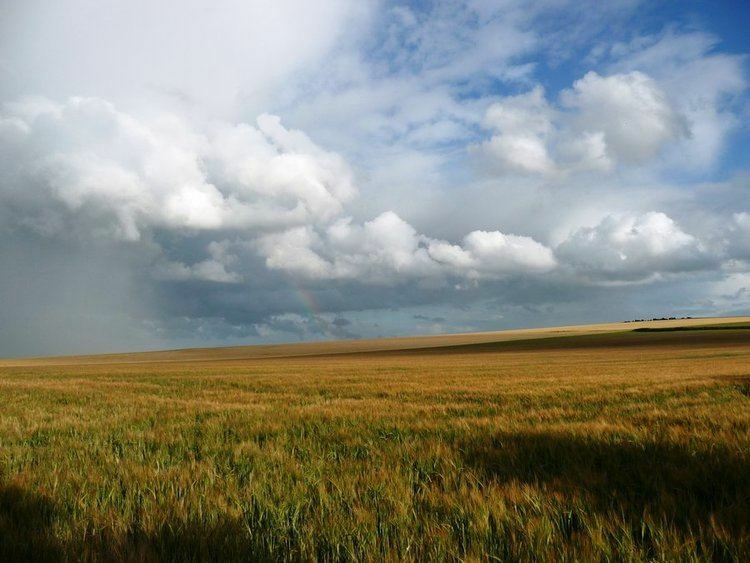 Since 2006, the regional tourism committee of Picardy publishes Esprit de Picardie, a travel magazine on the Picardy region, every six months. Several associative journals and specialised magazines are also distributed free of charge in public places: L'Écho des Amphis (student monthly), Bon Temps (quarterly magazine dedicated to the culture of Amiens and the art of living), Style & Co Amiens (deco magazine, trends and lifestyle), Night Clubbing Magazine (magazine of the nightlife in Amiens), Picardie la Gazette (economics weekly), Entreprises 80 (monthly of the Chamber of commerce and industry of Amiens-Picardie). Wéo Picardie, (broadcast suspended since 8 January 2014). TV Amiens, a local television channel on the internet. WebTV Picardie, an internet television channel of the Regional Council of Picardie. Most of the national radio stations broadcast their programmes in the Amiens area. Can be added to France Bleu Picardie (100.2 MHz) and local stations Radio Campus Amiens (87.7 MHz) and Radio Galaxie programme Évasion (97.7 MHz). Cable by Wibox/Cityplay since 2002. Fibre optic by Wibox/Cityplay since 2007 and by Orange since 2013. ADSL, with five telephone exchanges, the majority of which are unbundled, by SFR, Free, Bouygues Telecom and Completel. Chapelle du Bon Pasteur (first of the name): Situated on Rue Daire, it belonged to the Conseil général de la Somme. Leased to the Society of St. Pius X from 1983 to 2007, it was sold, with the property complex to which it belonged, to Picardy in May 2007. Chapelle Saint-Vincent-de-Paul, situated on Rue Jules Barni, the offices are run by the Society of St. Pius X according to the Tridentine Mass (an extraordinary form the Roman rite). Several independent prayer rooms are present in the urban community. On the other hand, Muslim committees and associations exist in the image of the Islamic Cultural Centre of Amiens in the Rue de Savoie, the Muslim Cultural Freedom Association - Institute of Enlightenment and also the Association of residents of the home at 21 Route d'Allonville. Proof of dynamism, the magazine L'Entreprise elected Amiens "Most attractive city of France" for businesses (category less than 200,000 inhabitants) in 2009 and 2007. The city finished second in 2010, 2008 and 2006. The strengths of the city include a developed real estate business and taxation around the average for French cities. In addition, its geographical position square in the centre of the triangle "Paris - London - Brussels", that is at the heart of the richest Europe. In 2009, the proportion of taxable households was 48.1%. In 2009, the population aged 15 to 64 years amounted to 93,256 persons, among which there were 66.5% of assets including 54.9% having a job and 11.6 per cent of unemployed. There were 81,405 jobs in the employment area, against 72,058 in 1999. The number of assets employed residing in the area of employment being 51,539, the concentration of job indicator is 158.0%, which means that the employment area offers three jobs for every two active inhabitants. The Goodyear Tire and Rubber Company announced more than 400 job cuts in May 2008 at the Amiens plant, which has had 1,450 employees; in March 2009, the management announced new collective redundancies of a thousand jobs. On 31 December 2010, at Amiens, there were 9,166 businesses: 69 in agriculture, forestry and fisheries, 402 in industry, 533 in construction, 6,111 in trade, transportation and various services and 2,051 were related to the administrative sector. In 2011, 743 companies were established at Amiens, including 417 by of sole proprietors. Amiens is the seat of the Regional Chamber of commerce and industry of Picardy. It is also the seat of the Chamber of commerce and industry of Amiens. It manages the Amiens - Glisy Aerodrome. The strategic position of Amiens makes it an attractive destination for a weekend or a few days, from Paris, Lille or Brussels. Amiens also benefits from the proximity of the Baie de Somme, a tourist hotspot registered at the Club des plus belles baies du monde and labelled Great Site of France. Amiens has an important historical and cultural heritage, an accessible and varied natural heritage, on which tourism is based. The main attractions are the cathedral, which is included in the world heritage of UNESCO, the hortillonnages, Jules Verne House, the Tour Perret, the Musée de Picardie, the zoo, and the quarters of Saint-Leu and Saint-Maurice. The commune has an exceptional heritage: 53 monuments listed in the inventory of monuments historiques and 126 places and monuments listed in the general inventory of cultural heritage; and on the other hand, 263 objects listed in the inventory of monuments historiques and 122 objects listed in the general inventory of cultural heritage. The information given below is relative only to a brief selection. The zodiac is a set of reliefs on the foundations of the western façade formed series of quatrefoil medallions, carved in a representative agrarian calendar and the signs of the zodiac. The statue of the weeping Angel (on a tomb carved by Nicolas Blasset) and the reliefs evoking Saint-Firmin and St. John the Baptist are some of the well-known works of the Cathedral. At ground level lies the intact labyrinth of 234 metres (768 ft) long. On the north side of the cathedral is the former Palace of the Bishop of Amiens, occupied by the École supérieure de commerce in Amiens. The Chief Architect of the Somme, Émile Ricquier, a disciple of Gustave Eiffel, was responsible for its construction. It was inspired by the Cirque d'hiver of Paris but chose a cast metal frame, supplemented by brick from the local countryside. The architect of civil buildings, Charles Garnier, claimed that the frames should be hidden with a plaster imitating stone. The "moderninst" design of Ricquier, who chose to display the structure, and to favour local material such as brick, is visible at the rear of the monument. Renovated in 2003, it now bears the name of Cirque Jules Verne. After hosting the performances of Cirque Rancy, it hosts resident Cirque Arlette Gruss. Since 1 January 2011, the circus has been labelled "national hub circus and street arts", managed by an EPCC. It is one of seven in France and is still in use today. In 1882, Jules Verne and his wife, Honorine, rented the house at the corner of Rue Charles-Dubois and Boulevard Longueville until 1900. Acquired in 1980 by the city, the house is labeled Maisons des Illustres by the Ministry of Culture. Restored in 2006, thanks to the work of the Centre international Jules-Verne, this 19th-century mansion, listed in the supplementary inventory of historic monuments, traces through the exhibition of more than 700 objects, the personality, the sources of inspiration and memories of Jules Verne. The Citadelle: First ravelin, erected north of the Montrescu gate, the fortress was located in 1531 by F. di Giorgio on the order of Francis I (Francis I gate, with sculpted salamanders). After the capture by the Spaniards and its takeover by Henry IV (1597), Jean Errard received the charge to rebuild the defences of the city. The Palace of the Bishop of the 17th and 18th centuries. The Seminary of the Lazarists: located on Rue Jules-Barni, it was built between 1736 and 1741 and benefitted from several extensions of which the last was built under the aegis of François-Auguste Cheussey in 1828. Seized by the State, following the Act of 1905, the seminary was the barracks office (named after the general assigned to the Committee of fortifications, Pierre Charles Dejean) from 1909 to 1993. During this period, it housed the headquarters of the 8th infantry division. The home of Jules Verne, which was reopened after renovation, in 2006, including the present neo-Gothic dining room and antique desk. The tower was covered with an armillary sphere commissioned from artist François Schuiten, who also signed the mural extending the imaginary garden of yesteryear. The Madeleine Cemetery (Cimetière de la Madeleine) contains a number of listed monuments including the sculpture on the grave of Jules Verne. His tomb is decorated with a sculpture by Albert Roze symbolising the resurrection: Jules Verne lifting the slab to glimpse the modern world. Saint-Acheul cemetery where various Amiens personalities are buried and where there is a domed tomb with a sculpture by Auguste Rodin. The Dewailly clock, by Emile Ricquier (completely redone in 1999), supplemented by the statue of Marie-sans chemise of Albert Roze, originally in the Place Gambetta. The Louis Aragon library, Rue de la République, built by François-Auguste Cheussey in 1823, neoclassical style with a peristyle with columns in Tuscan drums. The renovations by Cheussey (1816-1848) of the cathedral. The Church of Sainte-Anne of the architect Victor Delefortrie. The Church St-Rémi of architect Paul Delefortrie. Église Saint-Honoré, rebuilt between 1957 and 1961, by Paul Tournon, on the plans of the pontifical pavilion of the universal exhibition in Paris in 1937. The hotel Vagniez-Renon (current headquarters of the administrative tribunal): A former residence of Henriville, it houses a Moorish-style hydrotherapy room, designed by Émile Ricquier. Le Courrier Picard: The headquarters of the daily life of Amiens, first Progrès de la Somme, belongs to a set of Art Deco buildings. The monument of Philippe Leclerc de Hautecloque by Jan and Joël Martel in 1950. The Carmel of the Holy Spirit, on the Montjoie Hill, built in 1965 by architect Pierre Pinsard. The House of culture of Amiens, inaugurated on 19 March 1966 by André Malraux, built by Jean Duthilleul. The Coliséum, inaugurated on 5 January 1996, built by the architect Pierre Parat (designer of the Palais omnisports de Paris-Bercy). The Stade de la Licorne, built in 1999 by architects Philippe Chaix and Jean-Paul Morel. The Cinema Gaumont Amiens opened in 2005. It is the work of architects Philippe Chaix and Jean-Paul Morel. The interior decoration is the work of Christian Lacroix and artists Alain Balzac and François Michel. The Verrière de la place de la gare d'Amiens, also called the Canopy. It is the work of architect Claude Vasconi, known especially for the Forum des Halles in Paris. Subject of a controversy when it opened in March 2008, the canopy is designed to create a link between the pedestrian zone of the city centre and the ZAC Gare la Vallée, to become the business district of Amiens. Criticised for its massive and imposing area of more than 10,000 square metres (110,000 sq ft), the canopy rises to 15 metres (49 ft) in height and is composed of pixellated glass panels created by Bernard Pictet. This is one of the largest canopies in Europe. With 270 hectares (670 acres) of green space (excluding communal woodland) 118,300 hectares (292,000 acres) of hortillonnages, 300 hectares (740 acres) of forests, 30 hectares (74 acres) of marshland, its river and its streams, Amiens proves to be green and blue city. 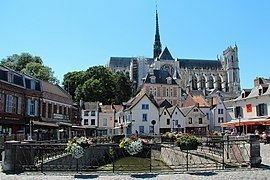 Amiens is also known for the hortillonnages, gardens on small islands in over 300 hectares (740 acres) of marshland between the River Somme and River Avre, surrounded by a grid network of man-made canals (locally known as "rieux"). They are also known as the "floating gardens of Amiens". The hortillonnages are sometimes called "Little Venice of the North", because of the canals. Prior to its opening in May 1952, the Amiens Zoo is a green space bordering the basin of the Park of the Hotoie. It was the mayor of the time, Maurice Vast, who decided to develop the site in 1949. Originally for entertainment venue, the zoo began its mission of conservation, education and research between 1970 and 1980. Between 1990 and 2000, the zoo was completely renovated and became a permanent member of the European Association of Zoos and Aquaria (EAZA) in 2001 and the National Association of Zoological Parks (ANPZ) in 2002. Today, there are 300 animals, representing approximately 75 species from all continents, cohabiting on 6.5 hectares (16 acres). They live in environments, which are close to their natural environment, favouring their well-being. In 2014, the zoo received 161,128 visitors. Traditionally, entry is free on July 14, Bastille Day. The House of Jules Verne, labeled Maisons des Illustres, is the home of the most translated writer in the world after Agatha Christie: Jules Verne. He lived here from 1882 to 1900 with his wife Honorine, and wrote part of his work in this mansion of the 19th century. Its visit proposes to enter into the intimate and creative universe of the author. The building largely retains its original decor and opens almost all of its rooms, from the ground floor to the attic. The permanent collections are presented on two floors, in the attic, the tower and the belvedere of the house: Approximately 700 collected objects evoke the personality, sources of inspiration and memories of Jules Verne. Costumed tours, performances, parties and literary encounters of thematic conferences are also regularly organised. The House of culture of Amiens (also known by the acronym MCA or MACU) was inaugurated on 19 March 1966 by André Malraux. Major cultural institution in the region, it has two exhibition halls for contemporary art, the Matisse Hall and the Giacometti Room, which regularly host exhibitions of sculptures, photographs and plastic arts. The megacity is the Park of the Congress and Exhibitions of Amiens. Located in immediate proximity of the Zenith of Amiens and the Stade de la Licorne, there are two auditoriums of 350 and 1,000 places where concerts and comedy shows are programmed. Cirque Jules-Verne, the biggest grand circus of France, has about 1,700 seating spaces since its renovation in 2003. It welcomes, among other shows, concerts. The House of culture of Amiens offers many live shows and concerts. It manages also New Dreams, a room for 120 seated or 300 standing, which also hosts concerts. The Auditorium Henri Dutilleux is the auditorium of the Conservatoire à rayonnement régional d'Amiens. With high acoustic quality, it offers 370 seats on three levels. It offers mainly classical concerts. La Lune des Pirates is the stage of contemporary music (SMAC) of the city. Created in 1987 in a former banana warehouse of the Belu Wharf, La Lune has a capacity of 250 seats. The House of Culture of Amiens has the Scène nationale accreditation from the Ministry of Culture. Cultural place of the city, its mission is broad and covers many disciplines: theatre, music, dance, cinema and visual arts. It brings together two theatres: the Grand Théâtre (1,070 seats) and the Petit Théâtre (300 seats). The Comédie de Picardie (ComDePic) is one of the city's main theatres. This Scène conventionnée was founded in 1989 by the Regional Council of Picardie and offers fifteen plays every year. The theatre has a room of 400 places and houses its own company. The Maison du Théâtre was established in April 1988 in the historic quarter of Saint-Leu. Its activities range from creation to dissemination, training and theatrical information. Focused on contemporary theatre, the Maison du Théâtre also hosts local theatrical companies and their creations. The puppet theatre "Chés cabotants of Amiens", founded in 1933, is the heir of some eighty cabotan theatres which were created in Amiens, in the 19th century, the French capital of the puppet son. Since 1997, a theatre is dedicated to Chés Cabotans of Amiens and his popular hero Lafleur. It is located in the heart of the Saint-Leu quarter. The Safran is located in the north quarter of Amiens. This 'multidisciplinary and experimental' Scène Conventionnée offers diverse programming: Drama, public youth shows, dance and exhibitions. Its theatre hall, known as Gérard-Philipe has 220 spaces. 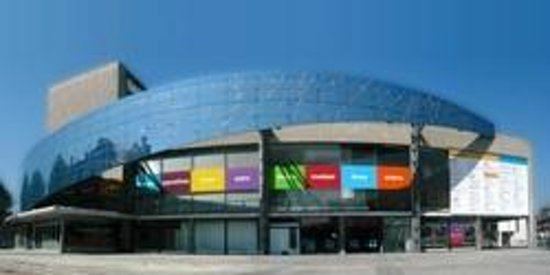 Saffron also hosts a music complex, the Cité Carter, which offers rehearsal studios, recording sessions and organises concerts of contemporary music in its 250-seat hall. The Cinema Gaumont Amiens (12 rooms, 2,700 seats) was inaugurated in September 2005. Located just steps from the Amiens railway station, it has a large lobby and a 600-seat room. A 500-space car park is located under the cinema. It is the work of the architects Philippe Chaix and Jean-Paul Morel and its interior decoration was entrusted to Christian Lacroix. In 2011, this multiplex received 887,000 cinemagoers. The Studio Orson Welles (one room with 180 seats in the Maison de la culture d'Amiens). An arthouse cinema operated by the Maison de la culture d'Amiens, it offers arthouse films as well as retrospectives of great names of the seventh art, old or contemporary. Even if it rarely achieves national notoriety (with the notable exceptions of Les Fatals Picards, The Rabeats, Olympe, Albin de la Simone, Disiz and Rokia Traoré), the Amiens music scene is active and developed. In this dynamic, the New French Rock scene holds a central place and is organised around a collective as Amiens Burning, which is responsible for networking the breeding ground for the local rock scene, to accompany it in its projects, and organise concerts. Since their creation, La Lune des Pirates or Cité Carter also provide support to the local scene. For example, the Cité Carter each year produces a compilation with the groups which repeat within its structure. Classical music is represented by the Orchestre de Picardie and the University Orchestra of Picardy. Vocal practice is represented by the Regional Choir of Picardy, the University Choir of Picardie, and the Choir of France Picardy. The city has the Conservatoire à rayonnement régional d'Amiens, seat of strong musical activity (framed by 70 teachers, an administrative and technical team with an additional 20 people). Amiens saw rise, over the centuries, major writers. In the first half of the 17th century, Vincent Voiture, poet and letter writer, was the darling of the Précieuses for the fluidity of his style. In 1634, he was member of the 1st Académie française. In 1678, Charles du Fresne, sieur du Cange, nicknamed "the French Varro", published his Glossarium in 3 volumes. This glossary of medieval Latin is still authoritative today. In 1750, Jean Baptiste Gresset, playwright and poet, celebrated in his time and member of the Académie française, founded the Academy of Amiens which is still active today and he was named perpetual president. In the 19th century, there was a brilliant literary life around the Académie des sciences, des lettres et des arts d'Amiens with historian Albéric de Calonne and the Yvert family. However, the great name of Amiens literary life is Jules Verne. He animated all intellectual activity, giving balls and parties, while his wife held a famous salon. He often attended the library of the industrial society, which subscribed to numerous scientific journals. A member of the Academy of Sciences, Letters and Arts of Amiens from 8 March 1872, he was elected Director in 1875, and in 1881 and, on this occasion, he delivered several speeches of welcome, especially for one of his friends, Amiens cartoonist Gédéon Baril, who signed illustrations of Dix heures en chasse with Hetzel. Engaged in local life, he was Councillor of Amiens from 1888 to 1904. He was closely interested in the affairs of the city, wrote many reports on the theatre and brought its support to the construction of the municipal circus. He died in Amiens in 1905, and he deeply marked the town's footprint, so that today many places, monuments and events bear his name. He rests at La Madeleine cemetery where one can read on his tomb: Vers l'immortalité et l’éternelle jeunesse. [Towards immortality and eternal youth]. In the second half of the 19th century, Jules Barni, Member of Parliament for the Somme, Associate Professor of philosophy and brilliant scholar translated Kant's work in French and thus enabled its dissemination in France. A native of Amiens, Paul Bourget published Le Disciple in 1889, novel today considered his major work. He was elected, 5 years later, to the Académie française. Born in Sainte-Anne district in 1885, Roland Dorgelès published Les Croix de bois in 1919. A masterpiece written from his notes taken at the Front, the novel won the Prix Femina the same year. Though capable of obtaining the Prix Goncourt, it was beaten by À l'ombre des jeunes filles en fleurs of Marcel Proust, 6 votes against 4. A member of the Académie Goncourt in 1929, he was elected president in 1954 until his death in 1973. In 1926, the Amiens native Henri Deberly, won the Prix Goncourt with Le Supplice de Phèdre, a novel inspired by his home city. Amiens is a stronghold of comics in France. A whole generation of designers and Amiens writers make the city an important creative centre of the 9th art. The main actors in this generation, include Régis Hautière, Norédine Allam who notably led the recolouring of the 33 Asterix albums in the framework of the project "The great collection" and also Antoine Dodé, David François, Fraco, Hardoc, Greg Blondin, Nicolas Hitori De, etc. The city was also the birthplace or home of big names in the comic strip universe, such as the Amiens native Joseph Pinchon, creator of the character of Bécassine; Paul Gillon, winner of the Grand Prix de la ville d'Angoulême and also Philippe Thirault. Actor of this dynamic around the BD, the association On a marché sur la bulle [Explorers on the bubble] organises the Rendez-vous de la bande dessinée d'Amiens, one of the greatest French comic festivals. Active throughout the territory, the structure also manages a resource centre and has an editorial department with the Éditions de la Gouttière. Chés Cabotans d'Anmien or the Cabotins of Amiens is a small Picardy traditional puppet theatre founded in 1933. Lafleur, the hero, was created around 1811 at Saint-Leu. He talks in Picard, exclusively. Traditionally a lackey costume (wearing a red velvet tricorne hat) dressed, Lafleur is cheerful, dynamic, independent and resourceful; its motto is: "bin mier, bin boere, pis did rin foere!" (Drink well, eat well and then do nothing). The Picard language is recognised regional language. It is spoken in France in the Picardy and Nord-Pas-de-Calais regions, and in Belgium in the Province of Hainaut. Various associations work for the promotion and development of Picardy culture expressed in theatre, song, in spoken tales but also in writing: Novels, journals, poetry, etc. Since 1993, the Conseil régional de Picardie has developed within the "Office Culturel Régional de Picardie" a cultural policy for the language and the Picardy culture. "The Agency for Picard", created in 2008, is headquartered in Amiens. Picard is taught at the University of Amiens. Amiens is known for a few local foods, including "macarons d'Amiens", small, round-shaped biscuit-type macaroons made from almond paste, fruit and honey, which were first recorded in 1855; "tuiles amienoises", chocolate and orange curved "tuiles" or biscuits; Pâté de canard d'Amiens - duck pate in pastry, made since the 17th century; and "la ficelle Picarde", an oven-baked cheese-topped crêpe with ham and mushroom filling, then topped with fresh cream flavoured with nutmeg, white pepper, and sprinkled with grated cheese before being browned in the oven. The region is also known for "flamiche aux poireaux", a puff pastry tart made with leeks and cream. A stamp representing the arms of the city was issued in 1962, this issue fitted into one of the Arms of cities. Its power of postage was five cents. It was issued on 23 January 1962 and withdrawn from sale on 23 January 1977. A first day was arranged in Amiens on 21 July 1962. It was designed by Robert Louis. Artist Arman made a board collage of this stamp.